Ladies, it’s tough on the road. Unlike men who can look polished just by wearing black, we have a much broader spectrum when it comes to fashion. I definitely tried to put a classy spin on my trekking convertible pants, many times, and failed. Maybe it’s because I didn’t have the shoes to go with it (just my dependable trekking shoes…) so I’m determined to find options for future trips! This is the ultimate convertible wear for the tree hugger in you. Made of 100% Tencel (sustainably farmed Eucalyptus trees) and hand dyed with love in 100% solar powered facility, the Journey shawl will have you shouting “Green Earth” at the summit in the blink of a flight. Did we mention 11% goes to charity too? Checkout their video tutorials. This dress can be worn 8 different ways and good for day or evening. One of the most cost effective convertible dresses out there. Made from 95% Modal, 5% Spandex. Though on the costly side, encircled is an eco-friendly brand that focuses on using renewable and recyclable materials with low impact. 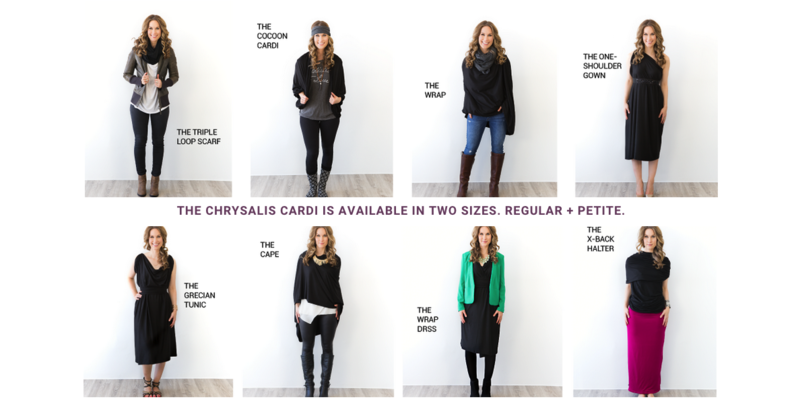 One of the pros is that unlike traditional multiway garments, the Chrysalis Cardi does not need to be pinned or tied. Check out their look book and tutorials. The creator says this can be worn 30 different ways, so options are there, just need to be creative. Reviews are quite good at roughly 45 reviews with an average of 4.4 stars. One of the few complaints is that the fabric is thin, plan ahead when wearing it as a dress! Video tutorial on Hipnoties. What makes this unique design interesting is that it has two pockets and two strings. This lents much room for creativity! And the look is definitely distinguishable from the typical convertible. Made with 92% rayon, 8% lycra. Can be worn 8 different ways. The material is 96% Rayon 4% Spandex, seems a bit more well made than most in the same price range. Decent reviews but only around 7. 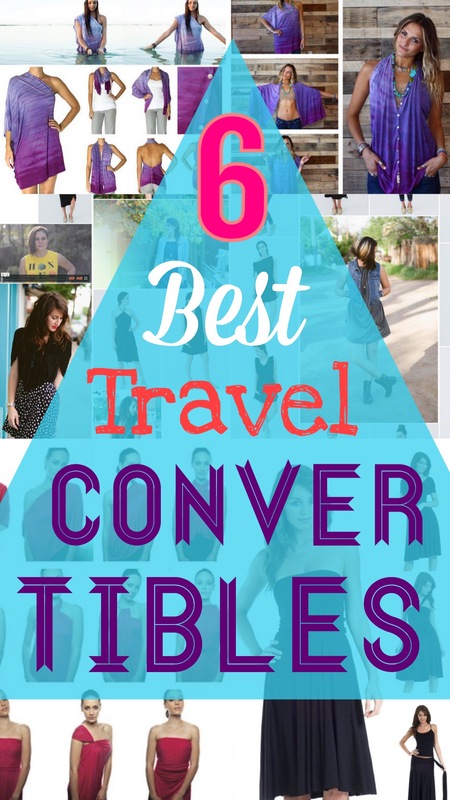 And there you have it, all the noteworthy convertibles still on the market that I can find with at least 5 ways to wear and travel friendly. If you have tried any of them or have one that you’d highly recommend, please do share!! I haven’t made up my mind yet but the more research I do, the harder it is to decide!